Snowboarding at Snowshoe, WV · Completing my Invisalign treatment (official photo from the orthodontist’s office!) · Celebrating the birth of Coelle’s baby girl · Photographing a few lovely weddings and getting a photo published in the Washington Post · Taking a guitar class · Traveling to breathtaking Tortola and Virgin Gorda · Meeting up with Casey in Orlando, FL to visit Universal/The Wizarding World of Harry Potter · Seeing awesome concerts including The Killers and Depeche Mode · Starting my yoga practice · Traveling to Puerto Rico and hiking in El Yunque · Cheering on the Caps at several games · Working on house projects including a bathroom mini-makeover · Visiting my family in Colorado and skiing for the first time in 20 years! 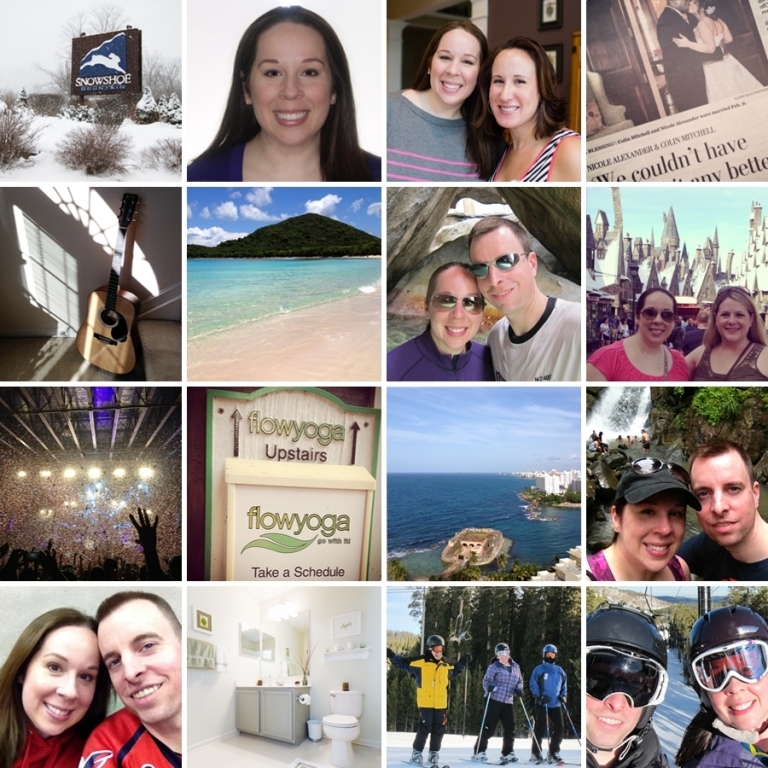 Not pictured are the lowlights of 2013 – wouldn’t that be a weird collage? It would include minor snowboarding injuries, Chris’s broken hand from softball, and my jaw surgery where one side of my face puffed up to the size of a grapefruit. But I’d always rather focus on the positives!